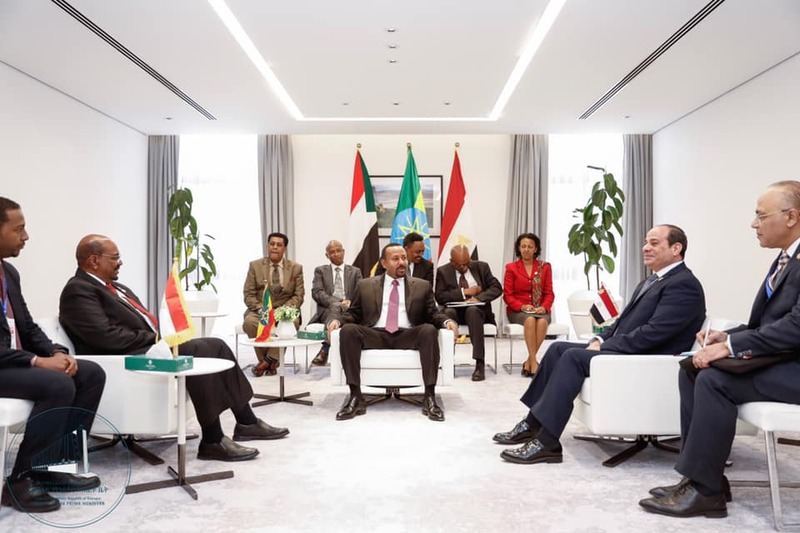 Egypt, Ethiopia and Sudan held a trilateral meeting today in the morning (Ethiopian time) on the margins of the 32nd African Union head of states summit in the capital Addis Ababa, Office of the Prime Minister disclosed. The meeting between leaders of the three countries took place in the Office of Prime Minister of Ethiopia. Apart from the leaders, senior government officials from the three countries have attended the meeting in the office of Ethiopian Prime Minister. The meeting is the first of its kind since Prime Minister Abiy Ahmed assumed office. Egypt, Ethiopia and Sudan have been meeting for a long time now and the dominant agenda has been Grand Ethiopian Renaissance Dam, which Egypt was complaining about on alleged grounds of the negative impacts of the mega dam project on the volume of Nile River Water flowing towards Egypt. Egypt is one of the countries that Prime Minister Abiy Ahmed visited after taking power and he has given Egyptian President Abdul Fetah al-Sisi assurance about Ethiopia’s intention to use the Nile Water in an equitable way. President Abdul Fetah Al-Sisi is now elected as chairperson of the African Union and there are prediction that he is will exploit it to exert influence while perusing his country’s interest including the issue of Nile Water. He is replacing Paul Kagame of Rwanda.